#1. Jungle Babblers are known to live for about 16.5 years in captivity. #2. 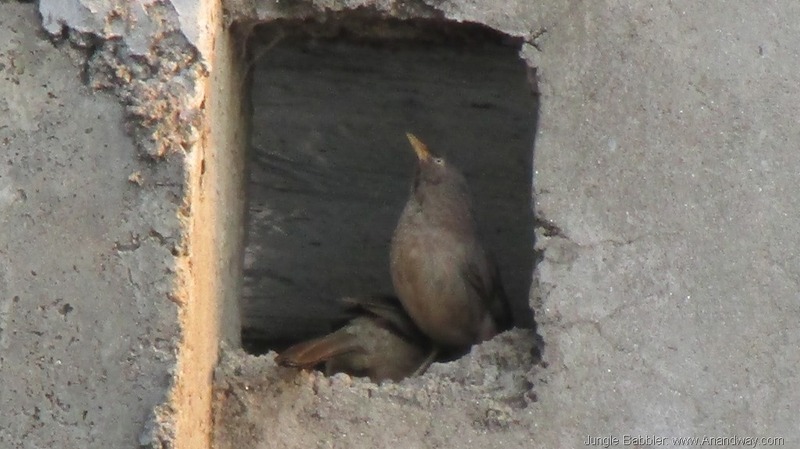 Their eggs are a bright blue-green. #3. 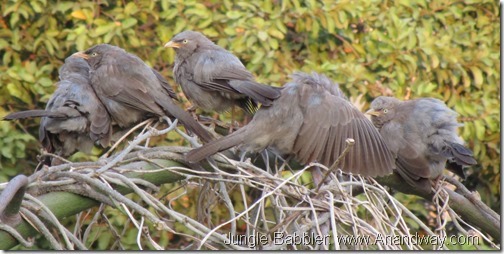 Jungle Babblers like to stay in groups of 6 to 7. Nice, happy joint families I would say! #4. 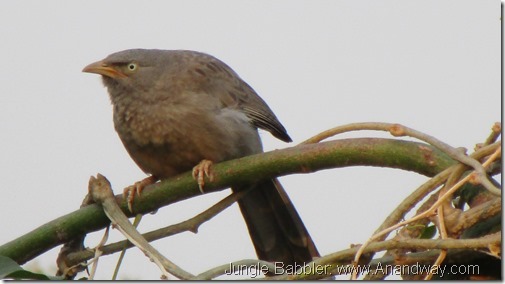 Jungle Babblers do not need to migrate. They like their territories. 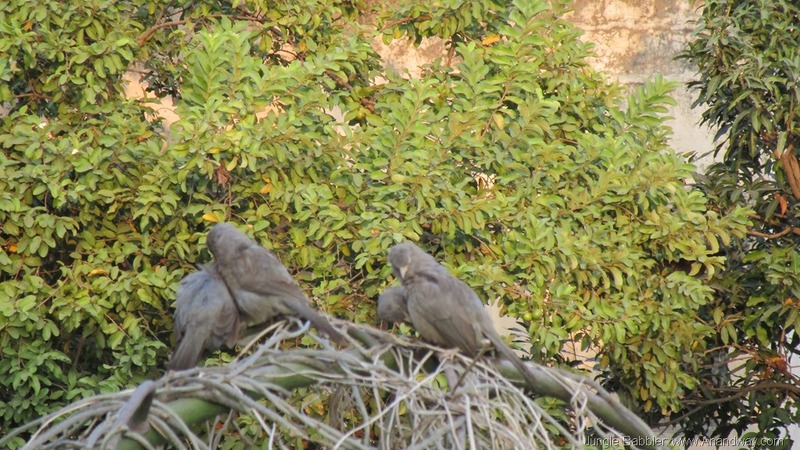 Every treetop, bush, park, rooftop is within their watch. 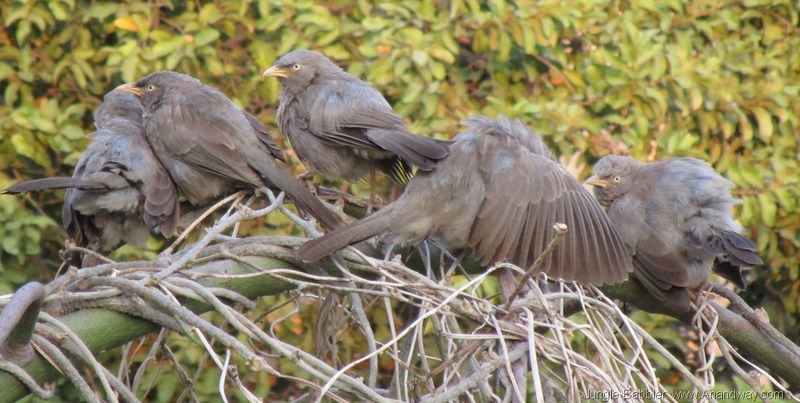 They know what plants you grow in your garden, and what your dog eats for lunch. #5. 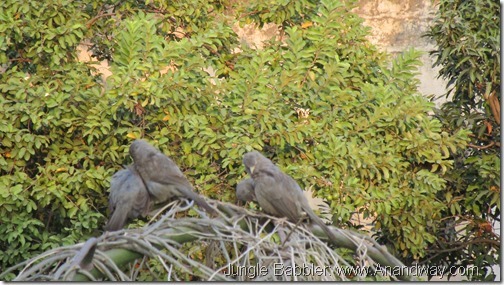 A group of Jungle Babblers that visits my home often is currently baby-sitting a cuckoo chick that follows them everywhere demanding food.